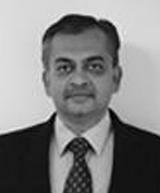 Pankaj Patel is an innovator and business professional who exemplifies the combination of sound technical acumen as well as business and strategic expertise. Mr Patel is one of the architects behind conceptualizing and realizing the business model of Abellon CleanEnergy Limited, an organization led by the Gandhian principle of sustainability and the philosophy of finding simple solutions to complex problems faced by the world. Today, he is driving the success of Abellon’s integrated business model as President & Member of the Board. His personal vision, like that of his organisation, is to contribute towards solving deep and perilous problems of climate change, energy access, food security and empowerment through sustainability and a “Triple-Bottom-Line” approach. Across a career spanning 18 years, his exposure has led him to develop a special inclination and expertise towards integrating environment, energy and other key elements to bring sustainability into industrial operations. His innovative approach, thinking and experience covering a diversity of domains make him a sought after industry expert in the domain of environment protection, clean energy generation and related concern areas.